The space that wasn’t there. Well I suppose you buy a Smart car for a reason and here’s where it earns its corn. 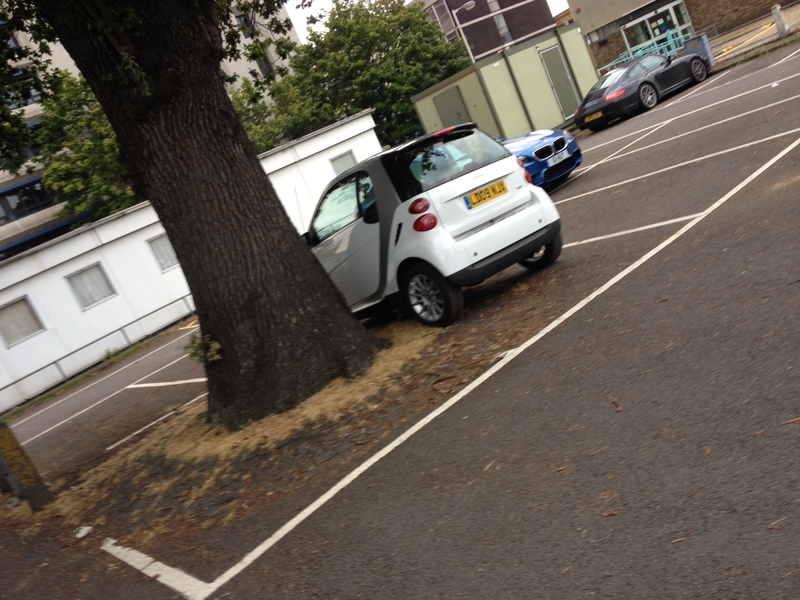 It’s not even a space but can you begrudge him parking there? And how can I judge it’s a ‘him’? Because I got busted taking this photo. So, the only other person in the car park when I took this happened to be the driver of this car. There used to be another non-official space right next to the barriers but they put a stop to that with a cunningly placed bollard. Swingate: a metaphor for society in general and so many other aspects of life.